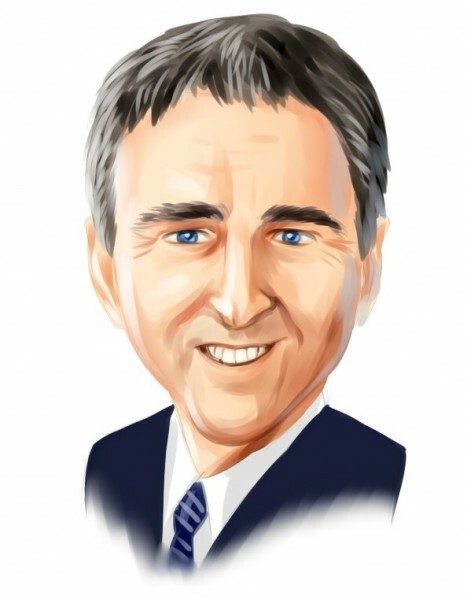 Ken Griffin ranks tenth in our list of most successful investors in the world, based on their net worth. He founded Citadel Investment Group in 1990. The fund posted double-digit returns over the last year when most of the other funds did not do well. We picked the top five large-cap stock positions from Citadel’s 13F portfolio and compared their performances with the S&P 500 for a period between 1999 to 2012. Ken Griffin’s equity portfolio was up 0.58% on average each month, versus a 0.32% return registered by the S&P 500. Citadel Investment Group thus out-performed the index by 42 basis points per month, or 5.04% per year. Let us analyze some of the large cap stock picks of Ken Griffin’s Citadel Investment Group to help recreate the same alpha. Alphabet Inc (NASDAQ:GOOGL) represented the largest stock holding in Citadel Investment Group’s equity portfolio at the end of September. The fund initiated a new position, which contained 635,345 class A shares worth $510 million at the end of September. Other funds with substantial stakes in Alphabet Inc (NASDAQ:GOOGL) included Andreas Halvorsen’s Viking Global and Ken Fisher’s Fisher Asset Management. The stock is up by 4.8% year to date and is trading close to its 52-week high of $839. For its last quarter, the company posted earnings of $9.06 per share, on revenue of $22.45 billion, versus consensus estimates of EPS of $8.63 on revenue of $22.05 billion. A total of 137 funds held $14.78 billion worth of Alphabet Inc (NASDAQ:GOOGL)’s shares at the end of September, compared to 135 funds owning $11.55 billion worth of stock a quarter earlier.